The Hurst Boiler Company (HBC) Blowdown Separator is designed to take water from the boiler during blowdown and reduce it to atmospheric pressure for disposal. 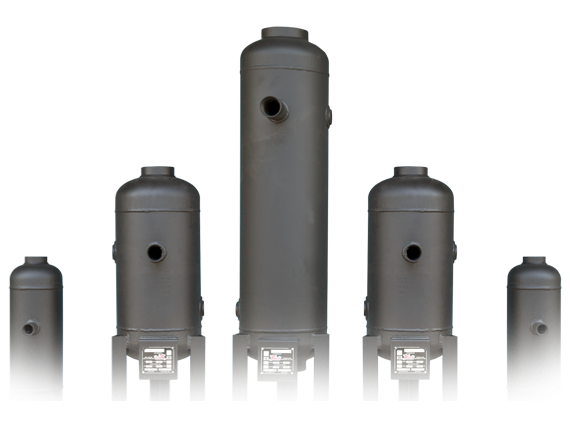 A boiler blowdown separator is designed to take water from the boiler during blowdown and reduce it to atmospheric pressure for disposal. The Hurst Boiler blowdown separator accomplishes this by separating the subsequent flashed steam from the hot water. As the blowdown enters the vessel, it is forced into a centrifugal pattern by means of a striking plate. The steam is vented to the atmosphere through a top connection. The Hurst boiler blowdown separator is built as per requirements Section VIII of the ASME Code and stamped by the National Board of Pressure Vessel Inspectors. The Hurst Boiler blowdown separator provides an economical means of safe boiler blowdown. The separator includes a structural steel support stand for mounting to foundation. Options available are after cooler, manual cooling valve assembly, automatic cooling valve assembly, and exhaust heads. 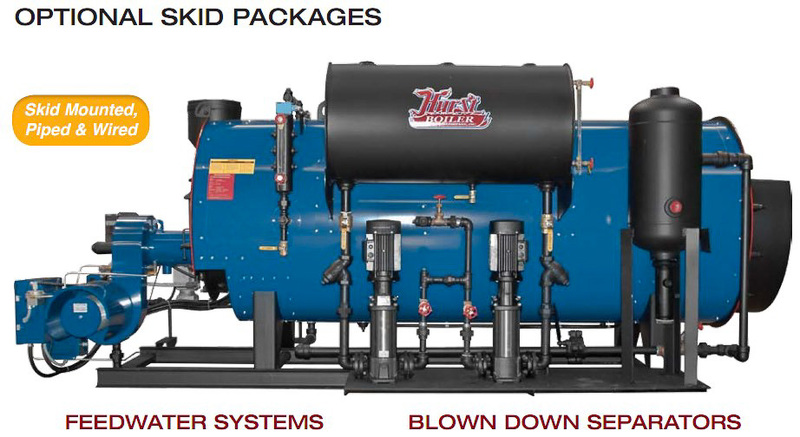 Hurst Boiler Blowdown Separators are built to Section VIII, Division 1 of the ASME Code for 250 PSI design pressure. (200 PSI design pressure with 150# ANSI flanges) Blowdown separator design pressure should be a minimum of 25% of the boiler maximum allowable working pressure (MAWP) as recommended by the National Board.